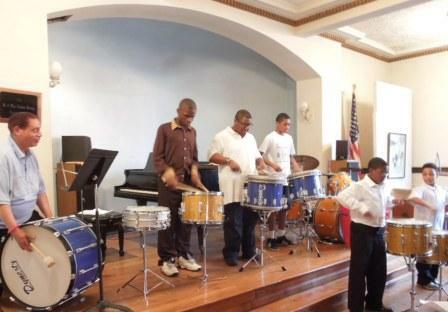 Students will learn the basics of drum technique, cadences and marching in rhythm, working toward representing our neighborhood in performances around the city! Instructor: Dwayne Dixon. Mondays, 5:30 - 6:30 P.M; Ongoing. Just $10 per year! 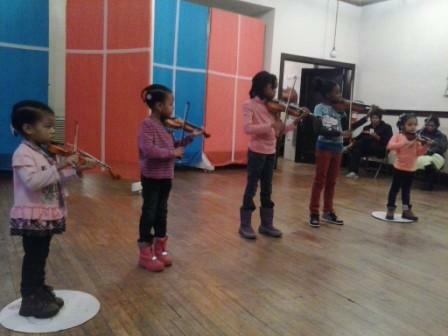 Other group classes are held on an outreach basis in collaboration with our partners (Community Assessment and Treatment Services, Inc., University Settlement, Villa Head Start Union-Miles Head Start, Mound School, and area child care centers) for their constituents.